A short stroll from Burra's town centre, the Burra Motor Inn is ideally situated to discover Burra's mining heritage, play a round of golf at the local 18 hole Burra Golf course, or sample the local wines and produce of the region. Large, well appointed double room with lovely view of the creek and abundant birdlife right at the door. Features ensuite, Austar, and tea & coffee facilities. Suit couple or small family. Stay for 2 or more consecutive nights and receive 10% off accommodation. Large, well appointed double room with lovely view of the creek and abundant birdlife right at the door. Features ensuite, Austar, and tea & coffee facilities. Suit couple or small family. Stay for 4 or more consecutive nights and receive 10% off accommodation and a complimentary continental breakfast supplied in the room each night. Large, well appointed family room with lovely view of the creek and abundant birdlife right at the door. Features ensuite, Austar, and tea & coffee facilities. Suit family or small group. Large, well appointed family room with lovely view of the creek and abundant birdlife right at the door. Features ensuite, Austar, and tea & coffee facilities. Suit large family or small group. Large, well appointed double room with lovely view of the creek and abundant birdlife right at the door. Features ensuite, Austar, and tea & coffee facilities. Suit single traveller or couple. Pay for 4 nights & stay for 5 nights. Large, well appointed double room with lovely view of the creek and abundant birdlife right at the door. Features ensuite, Austar, and tea & coffee facilities. Suit single traveller or couple. Stay 2 or more consecutive nights and receive 10% off accommodation. Large, well appointed double room with lovely view of the creek and abundant birdlife right at the door. Features ensuite, Austar, and tea & coffee facilities. Suit single traveller or couple. Stay 4 or more consecutive nights and receive 10% off accommodation and a complimentary continental breakfast supplied in the room each night. Large, well appointed room with lovely view of the creek and abundant birdlife right at the door. Features ensuite, Austar and tea & coffee facilities. Suit couple or small family. Large, well appointed room with lovely view of the creek and abundant birdlife right at the door. Features ensuite, Austar, and tea & coffee facilities. Suit twin share or family. The Burra Motor Inn is equipped with a wireless hotspot and secretarial services are available upon request (including photocopying, faxing and emailing). The Burra Motor Inn can cater for groups in the on-site licensed Jumbucks Restaurant by prior arrangement. Check-in from 2.00pm. Providing rooms are ready, we are happy to check-in guests prior to this time. Please discuss late check-in arrangements if you expect to arrive after 9.00pm. Off road parking directly in front of most units plus areas for larger vehicles and trailers. The Burra Motor Inn is located on Market Street 500m north of the Visitor Information Centre (located on the corner of Market Square and Commercial Street). 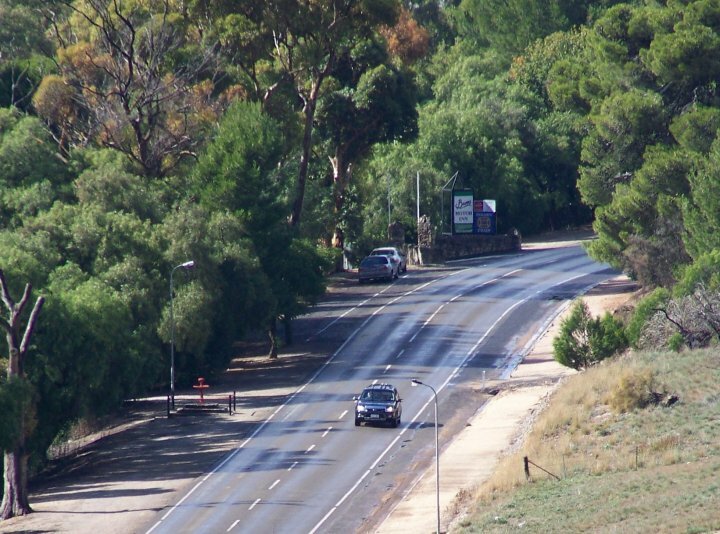 Burra is located within a couple of hours of Adelaide, and only 25 minutes from Clare. Established by two shepherds in 1845, Burra grew to a population of 5000 by the mid 19th century, and is known to many as a historic copper mining town and the Merino capital of the world. The town was heritage listed in 1994 for its many historic sites. Located only 154km from Adelaide, and 48 km from the famous Clare Valley wine region, Burra is an ideal base to discover the local mining history and the towns extensive heritage, to drive through the rugged station country on the scenic Dares Hill circuit, learn about local megafauna discoveries, visit the many nature spots such as Burra Creek Gorge, or Redbanks conservation park, to walk or cycle the Mawson and Heysen Trails, and appreciate local art, to taste quality wine, cider and produce, to marvel at the massive wind farms of Mt Bryan, Hallett and Jamestown and much more..